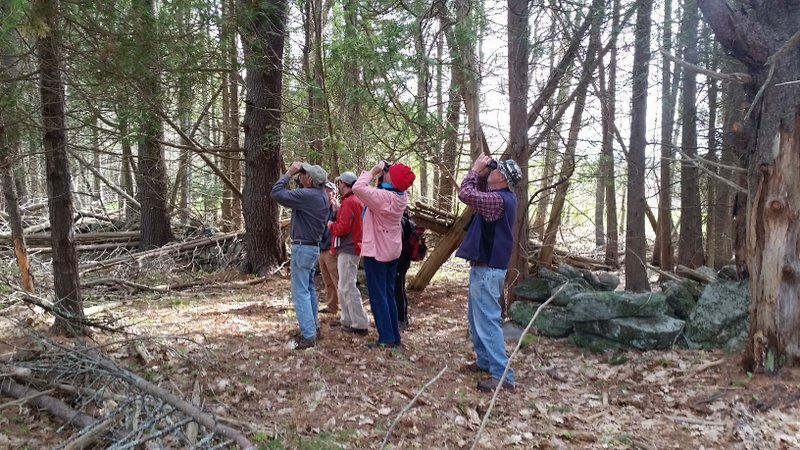 Led by volunteer and local birding enthusiast, Robert Carnicella, folks will scout for both spring migrants and resident bird species at one of KELT’s most scenic preserves on Thomas Point. This free event is light rain or shine. At 118 acres, Bonyun Preserve includes mixed forests, pitch pine woodlands, and forested and tidal wetlands. The hike will take place on the main portion of the preserve, visiting Thomas Point walking along Mill Cove as it empties with the outgoing tide. The 1.7-mile trail is relatively flat and provides for a relaxed hike with plenty to observe along the way, including wading birds and waterfowl as well as forest birds. Birders should wear footwear that can get muddy and bring a pair of binoculars. RSVP Requested by calling 207-442-8400 or using the Google form below. Thank you for registering for the Warbler Walk at Bonyun Preserve. To get to the Bonyun Preserve: from Route 1, take ME-144 South for approximately 10 miles to the second intersection with West Shore Road. Turn right on West Shore Road (Lower) and drive 0.25 miles to the parking lot on the left.